Our restaurants are run the Italian way - passionate and homely with a little flair. Wherever you are, something you can always be assured of is a warm welcome. Do not miss another Zizzi voucher! 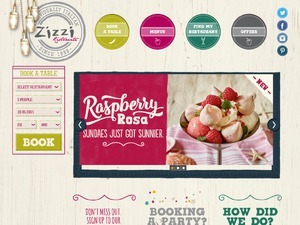 Simply leave your e-mail address and we'll always keep you informed of new vouchers for Zizzi. Runtime Error on direct offer link Server Error in '/' Application. -------------------------------------------------------------------------------- Runtime Error Description: An application error occurred on the server. The current custom error settings for this application prevent the details of the application error from being viewed remotely (for security reasons). It could, however, be viewed by browsers running on the local server machine. Details: To enable the details of this specific error message to be viewable on remote machines, please create a tag within a "web.config" configuration file located in the root directory of the current web application. This tag should then have its "mode" attribute set to "Off". Please advise!! Offer condition: Valid between Sunday and Thursday in April (including Easter Sunday and Monday). Offer condition: Choose a main course from our 'Pizza & Calzone', 'Insalate' or 'Pasta & Risotto' sections or from our Specials menu plus either a starter from our 'Bread and Olives' or 'Antipasti' sections, or a dessert. Sorry, dishes from the 'Mains' section, Lunch menu and takeaway menu are not included as part of the offer. Promotion valid from 1st February to 28th February, 2010, Sunday to Thursday only, Except Sunday 14th February, 2010. Please present this voucher to your waiter or waitress when asking for the bill. Photocopies or electronic vouchers on mobile telecomms will not be accepted. Offer not available in conjunction with any other offer. Offer is on until end of NOVEMBER, so still valid. Just link to voucher of the crossed out "direct offer link". It works! One of best deals on at the moment. Latest voucher code valid at a time of promo publication was entered to be working from 2013-11-05. 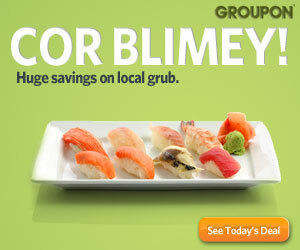 Restaurant.com - Deals on neighborhood restaurants. $25 Restaurant Certificates for only $10!